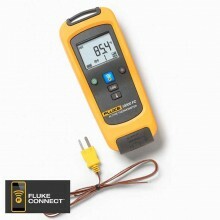 Includes: Fluke t3000 Thermocouple Thermometer, 80PK-1 K-Type Bead Thermocouple, Magnetic hanging strap. The Fluke T3000 FC Wireless K-Type Temperature Module wirelessly relays measurements to other Fluke Connect enabled master units including; Fluke 3000 FC DMM, Fluke Ti200/300/400 Infrared Camera, PC via optional pc3000 FC Adapter and the Fluke Connect Mobile app. 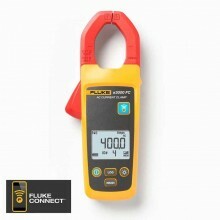 Fluke Connect Wireless Test Tools put tools, not your body, near live electrical panels. It's simple. 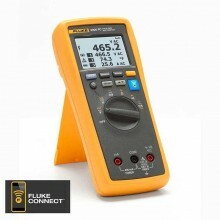 Connect the t3000 FC wireless temperature module, or any of the other Fluke Connect remote modules, and read the results on the Fluke Connect Wireless Multimeter or a portable PC from a safe distance. PC via optional pc3000 FC Adapter. 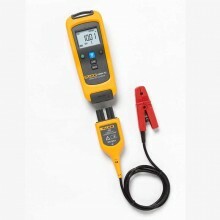 Use as a standalone meter or as part of the system. Logging function for recording and saving up to 65,000 readings. 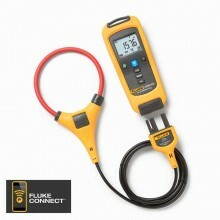 Range K-Type -200°C to 1372°C. 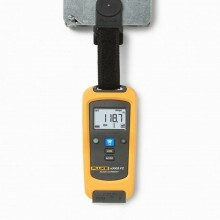 Accuracy ±[0.5% + 0.5°C] counts. Log rate/interval 1 sec minimum/adjustable by PC. 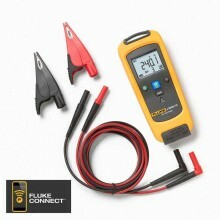 Battery type 2 AA, NEDA 15 A, IEC LR6. 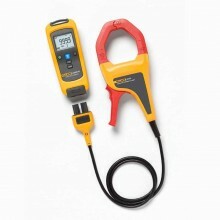 Temperature coefficient 0.01% of reading +0.03°C per °C. 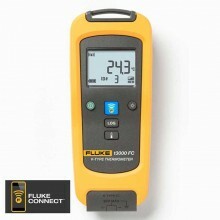 Operating humidity 90% at 35°C, 75% at 40°C, 45% at 50°C. Safety compliance IEC 61010-1, CAT I, 3rd edition Pollution Degree 2. 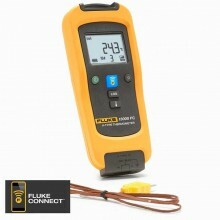 Certifications CSA, CE, FCC: T68-FBLE IC: 6627A-FBLE. 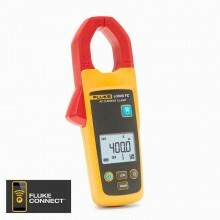 Size (H x W x D) 16.5 x 6.35 x 1.4 cm (6.5 x 2.5 x 1.4 in). Weight .22 kg (8 oz). 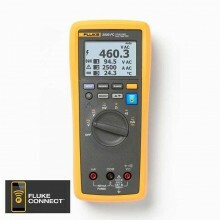 Fluke T3000 FC warranty Three years. 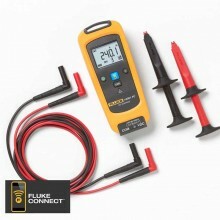 Not compatible with Fluke CNX test tools.